Building on increased interest in the National School Lunch Program, and inspired by the 2014 exhibition, Food, Power,Politics: The Story of School Lunch, the Richard B.Russell Library for Political Research and Studies and others partnered in 2015 to create this fun, educational event to engage the Athens community with the past, present, and future of school lunch. “Richard Russell co-sponsored the legislation which created the National School Lunch Program in 1946. We are glad to host this event, now an annual happening that draws attention to the NSLP today,” said organizer Jan Hebbard, outreach archivist at the Russell Library. The 2018 event will offer 200 free tickets to the general public. 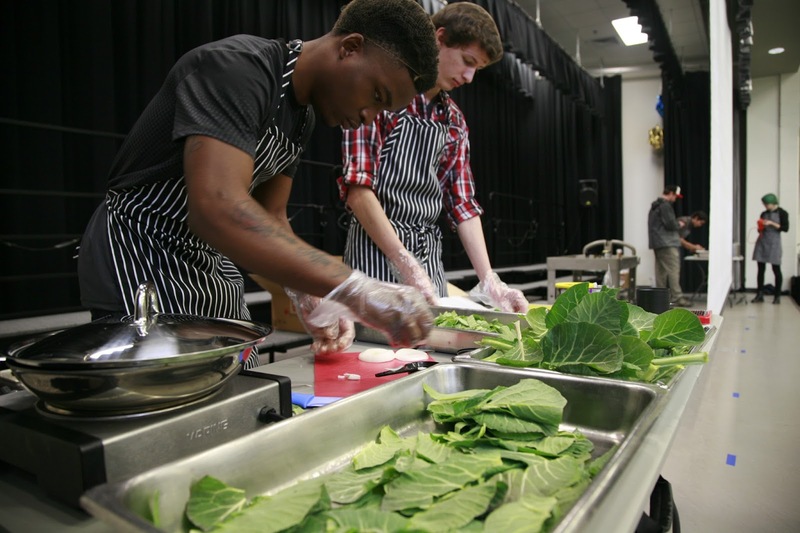 The centerpiece of this event is a cooking competition which invites participating teams, advised by nutritionists from the Clarke County School District (CCSD), to create dishes in accordance with USDA guidelines for the National School Lunch Program. 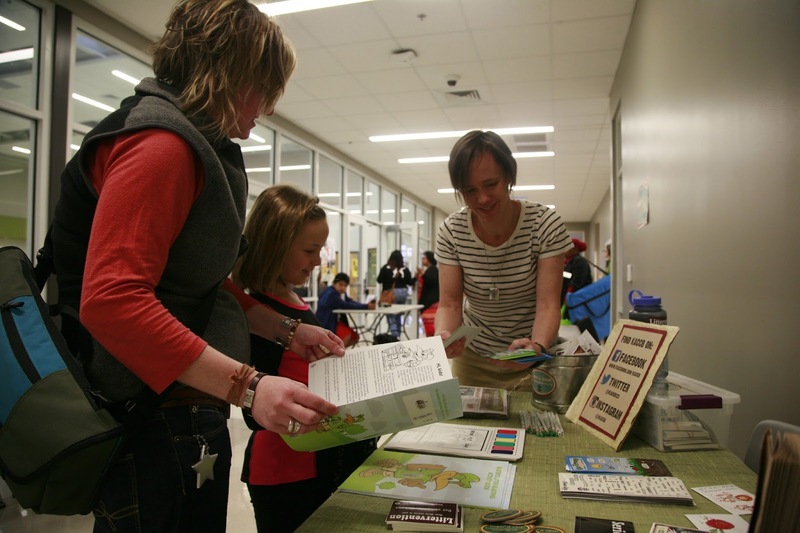 A panel of student judges drawn from CCSD schools will vote to determine an overall winner. The winning team’s plate will be incorporated into the CCSD school lunch menu during the 2018-2019 school year. taking notes and voting for their favorite dish. 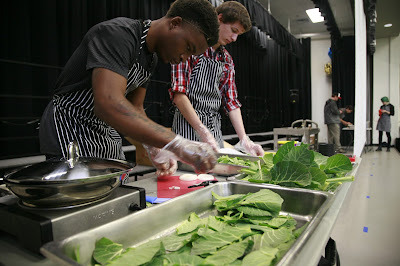 Last year local restaurant Last Resort Grill was voted the overall winner by student judges. Led by chef Larry Vivian, the team won over judges with a chicken parmesan sandwich paired with honey thyme glazed carrots. This recipe debuted on the CCSD School Lunch Menu in September 2017. 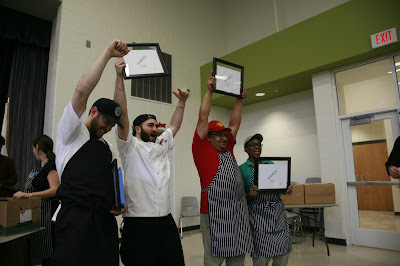 The Last Resort team will return in 2018 to defend their title against new competitors Taziki’sMediterranean Cafe, Dondero’s Kitchen, and the Food Bank of Northeast Georgia. 2017 Overall Champions by the student judging panel. at the 2017 School Lunch Challenge. 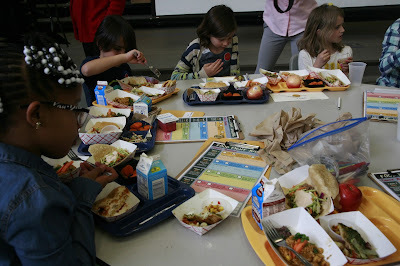 The 2018 School Lunch Challenge is sponsored by the Richard B. Russell Library for Political Research and Studies, the Clarke County School District, Mayfield Dairy Farms, the Athens-Clarke County Solid Waste Department, UGA’s College of Family and Consumer Sciences and Department of Foods and Nutrition, The Fresh Market, Seed Life Skills, Heirloom Café Athens, Athens Land Trust, and Athens Farm to School.